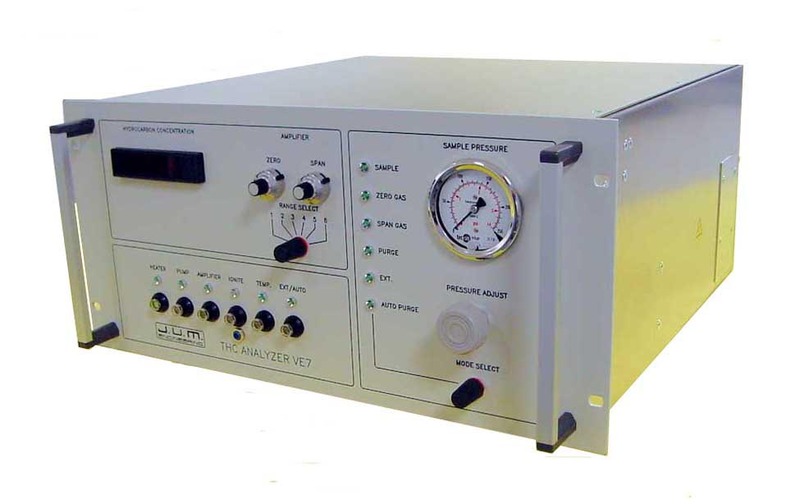 The Model VE 7 is our widest distributed heated FID THC analyzer. It is being manufactured since 1974 and is thevery first heated THC analyzer ever built using a permanent back purge sample filter. It is still the mostly liked heated FID throughout the stack testing community and best known for its legendary ruggedness, forgiveness and long standing accuracy and sensitivity. The VE7 belongs to the very first total hydrocarbon analyzers being officially certified for stack emissions compliance monitoring in Europe. In the USA, a significant part of the Method 25A was written around the VE7. Many thousand VE7s were sold mainly in Europe and in the USA. is a 100% identical version at 20% lower cost due to the use of a disposable sample filter in the heated oven. With this exception the VE7/OVE is a 100% identical analyzer.